jQuery.my recognizes both standard HTML controls and complex composites created using rich ui plugins. Controls built with jQuery UI, Select2, CodeMirror, Ace, Redactor, CLeditor, jQuery Mobile are supported out of the box. 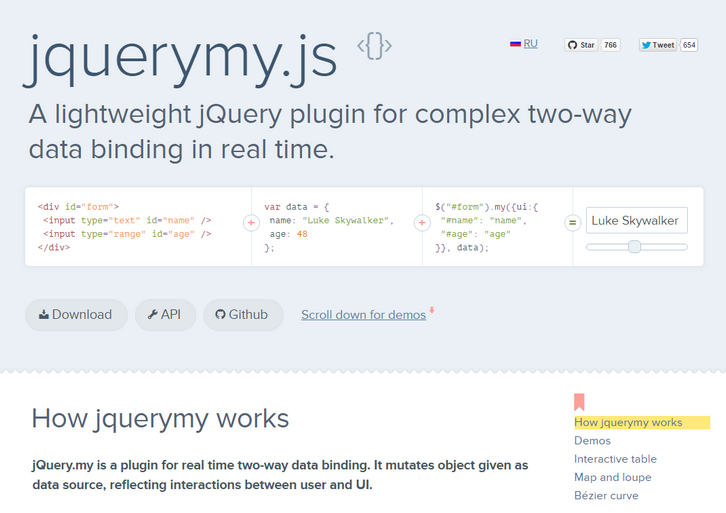 jQuery.my provides comprehensive validation, conditional formatting, complex dependencies, runtime form structure manipulation. $.my forms can run nested, each jQuery.my instance can be a composite control for parent form.